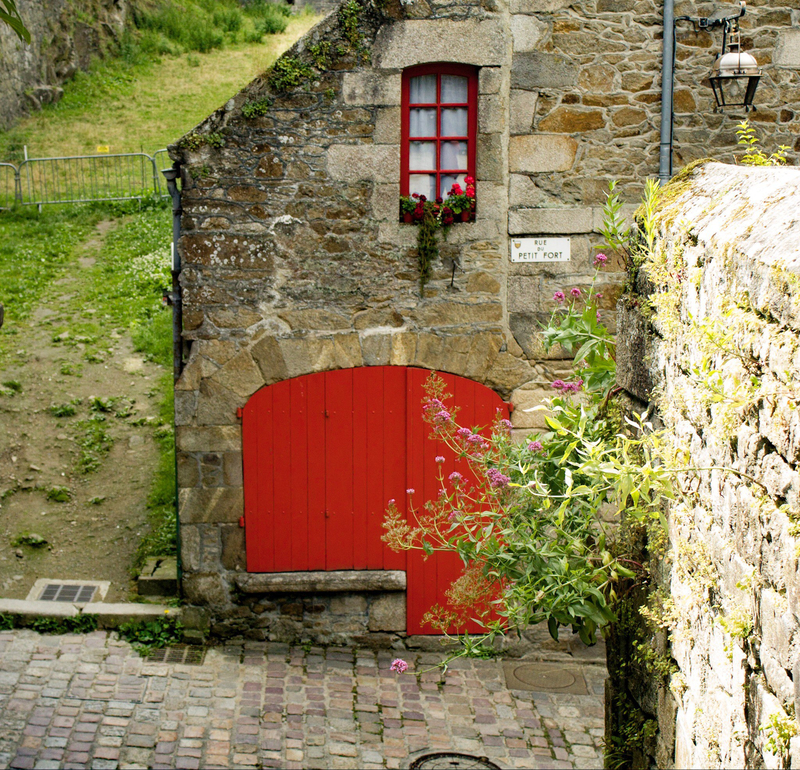 Dinan & Travel – My walks around the world! I have to pinch myself now and then to make sure this is real. Whenever I travel, it feels magical, and it goes by too fast. I try to meditate, write and walk, slow down and savor the moments, in an attempt to make it last a little bit longer. Travel is magical for me; it changes a bit of me every time. Sometimes It’s almost as if I discover a part of me in a distant land. I met Paulene and Trevor on my Spanish hike. Since the hike, we were able to see each other at least once a year in a different country. This time they are living in France for six months in the Brittany region; so I caught up with them again. They took me to this beautiful village Dinan that may not have changed much since the Middle Ages. We walked through the cobbled stone alleyways with flowers popping out of the walls with musicians playing around some corners. The weather was slightly sunny with a cool breeze it was just a perfect day. The people who live here take a good care of the gardens and flowers. We leisurely ambled and talked about South Germany where there are similar villages. The village has two parts to it, it has the city center, look out point and housing at the top of the hill, and you can take on of the alleyways to reach the river where there are restaurants on either side of the river. Some of the buildings are sagging from their age. The next day we visited granite rose coast which is laden with beautiful rose colored granite rock. Versailles was built using some of the rock from here. When we first got there, it was misty and gloomy. We had some coffee as it was too early for lunch at a cute restaurant that had the smallest three-legged chairs. It looked like the chairs have been around for awhile. We took a walk around the coast, admired the views and found our new vacation homes. My house was on the tip of one of the inlets, surrounded by a few trees and made out of the rose granite. It is a lovely home in which I can imagine reading, receiving a visitor or two now and then. Trevor’s was a big castle with a lookout point, cave and grand entrance, the only way to reach it is by boat. Paulene chose a cute cottAge with blue shutters and a small garden in front in the village. As we walked, we talked about why we travel. Some of the reasons we go to different countries are for understanding a new culture, people, explore new places, be open to different perspectives, living in the moment, escape from monotony and excitement.